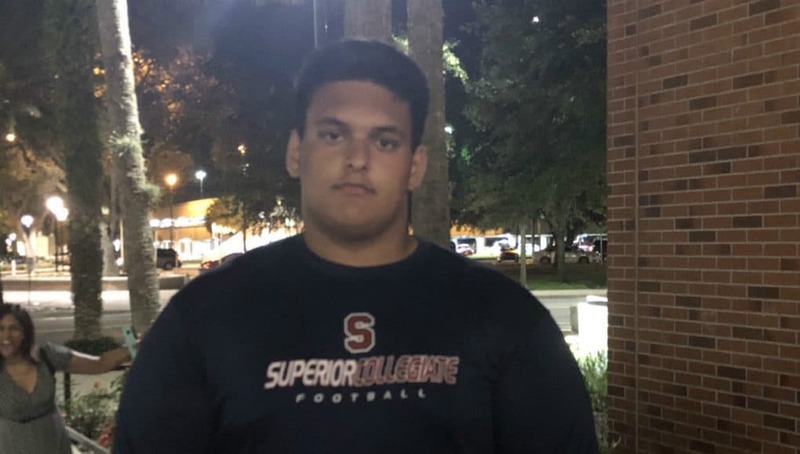 The Florida Gators have landed three offensive linemen in the class of 2019 as they look to rebuild depth at the position under new offensive line coach John Hevesy. 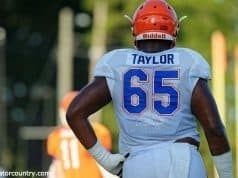 Entering fall camp the Gators have commitments from Ethan White, Wardrick Wilson and Riley Simmonds but would like to add two more prospects to the class with the focus on tackles. GatorCountry brings you the top targets at this time to finish off the class on the offensive line. 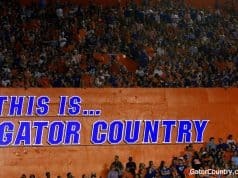 GC also will update the state of the Gators three commits. LaQuinston Sharp (6-3, 305, Scooba, MS. East Mississippi JUCO) was offered in the spring and has said he will visit Gainesville but that visit hasn’t happened yet. Sharp has Mississippi State as the team to beat but the Gators are a school he talks about a lot, Florida just has to get him on campus. Kamaar Bell (6-3, 320, Moultrie, GA. Colquitt County) has visited Florida twice already including a visit to Florida for Friday Night Lights. Alabama is the team to beat for Bell but if the Crimson Tide slip up, the Gators are right behind for the lineman. Offensive lineman Brandon Jones (6-5, 300, Milledgeville, GA. Georgia Military College) visited Gainesville for Friday Night Lights but is still waiting on an offer from Florida. Jones has been hearing from both Florida and Tennessee but neither have offered yet. This football season will be watched closely by both teams. William Harrod (6-5, 312, Fort Washington, MD. National Christian Academy) says he plans to take a visit to Florida this fall. 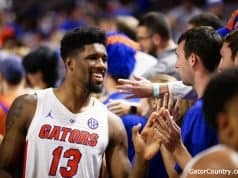 Harrod picked up an offer from the Gators in the spring but hasn’t visited yet. Maryland and Michigan are the favorites for Harrod right now. Ira Henry (6-5, 320, St. Louis, MO. Trinity Catholic) is another guy who says he plans to visit Florida this fall after picking up an offer from the Gators in the spring. Illinois and Missouri are the two teams leading the way for Henry in August. Offensive lineman Wardrick Wilson has been committed to Florida since the summer of 2017 and is solid to Florida but still listening to Miami. The Hurricanes are the team to watch for but Wilson is still waiting for that offer from Miami. Offensive lineman Ethan White has shut down his recruitment since committing to Florida and after Friday Night Lights said that his only visits planned were to Florida for games this fall and an official visit. Offensive lineman Riley Simonds is very solid in his commitment to Florida hasn’t set any other visits up besides Florida.